The Master Blaster is a powerful motor driven siren designed for use as an internal/external supplementary security sounder. The siren is powered by a 230V AC supply and contains an integral activation relay. It is supplied with either a 12V DC relay for security applications or 24V DC relay for fire. Designed for surface mounting, the Master Blaster comes pre-wired with 1 metre of cable and has a separate mounting bracket for ease of installation. 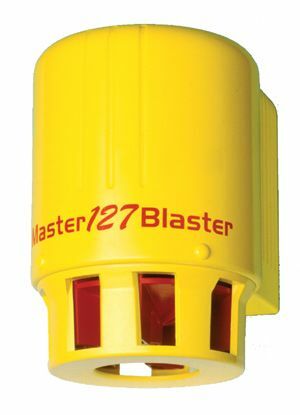 Ideal for use where where a higher sound output is required, the Master Blaster can only be used with security system control panels. 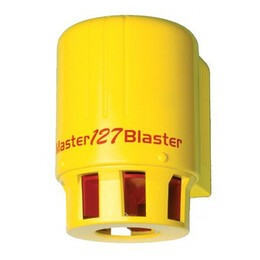 A version of the Master Blaster is available without a relay - the Super M.